The Bull Moose himself will come to life Thursday in a special event at West Texas A&M University. 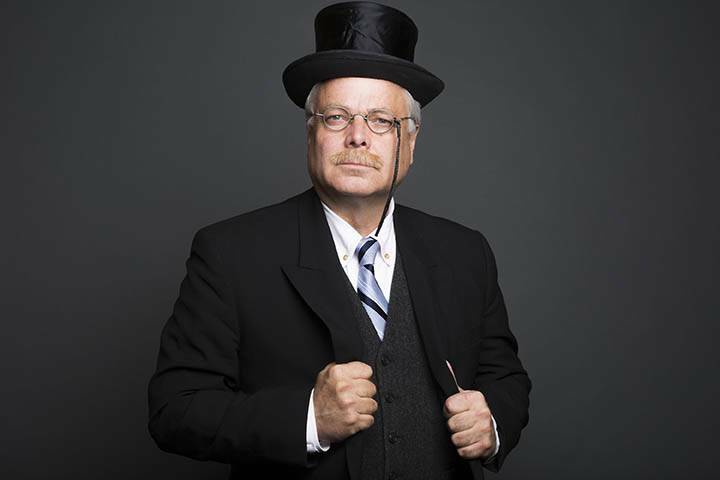 Cultural commentator Clay Jenkinson will present “An Evening with Teddy Roosevelt” at 7 p.m. Thursday in the Alumni Banquet Facility at WT. The program will be recorded for later broadcast on NPR stations around the country. Jenkinson, host of the weekly “Thomas Jefferson Hour” on NPR (which airs at 5 p.m. Sundays on HPPR in Amarillo), will portray Roosevelt in the presentation, part of the school’s Distinguished Lecture Series. He’ll even take questions from a faculty/student panel and the audienceßß before coming out of character to answer further questions. An American humanities scholar, author and educator, Jenkinson took part in documentarian Ken Burns’ 2015 PBS series “The Roosevelets” and is the winner of several accolades for his work in the humanities.